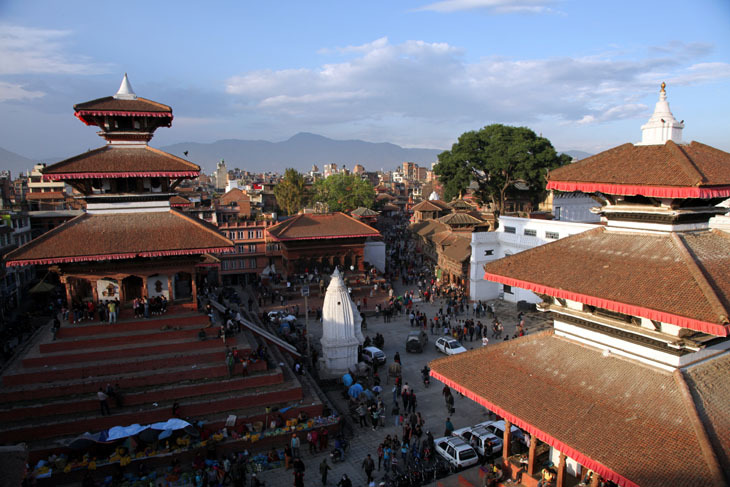 Kathmandu is famous for being the home of the living goddess called the Royal Kumari. 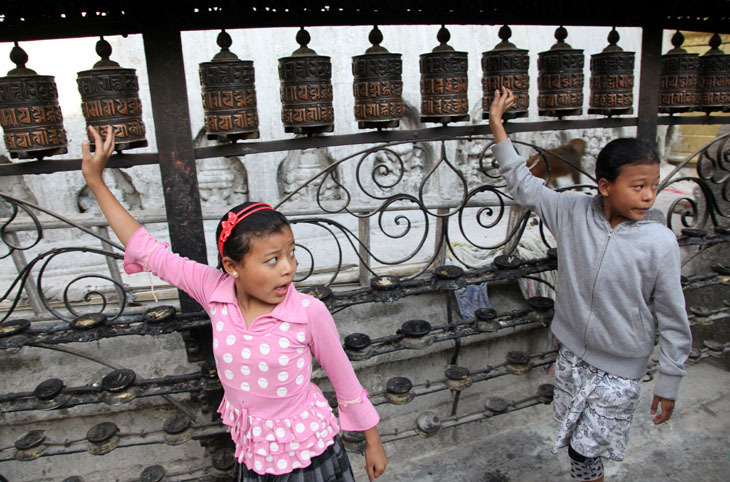 In Nepal a Kumari is a prepubescent girl selected from the Shakya clan of the Nepalese Newari community. 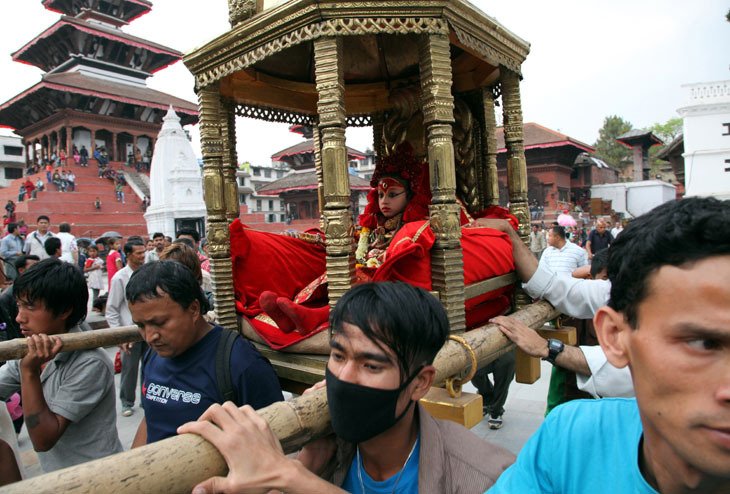 The Kumari is revered and worshiped as a living goddess by some of the country's Hindus as well as the Nepali Buddhists. 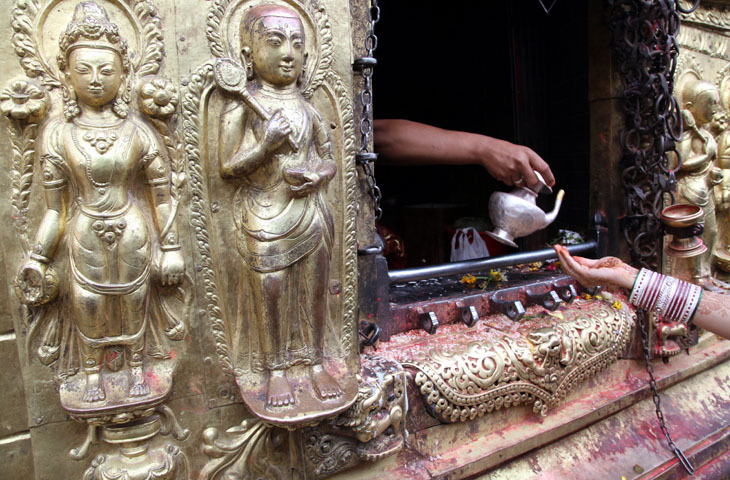 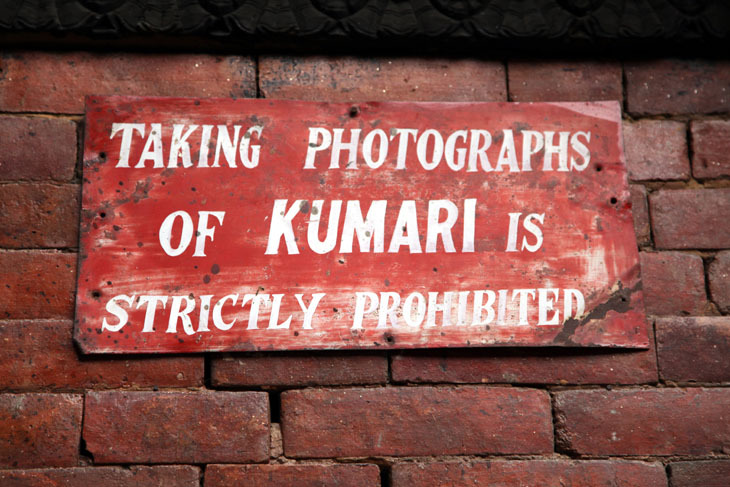 While there are several Kumaris throughout Nepal, with some cities having several, the best known is the Royal Kumari of Kathmandu who lives in the Kumari Ghar, a palace in the center of the city. 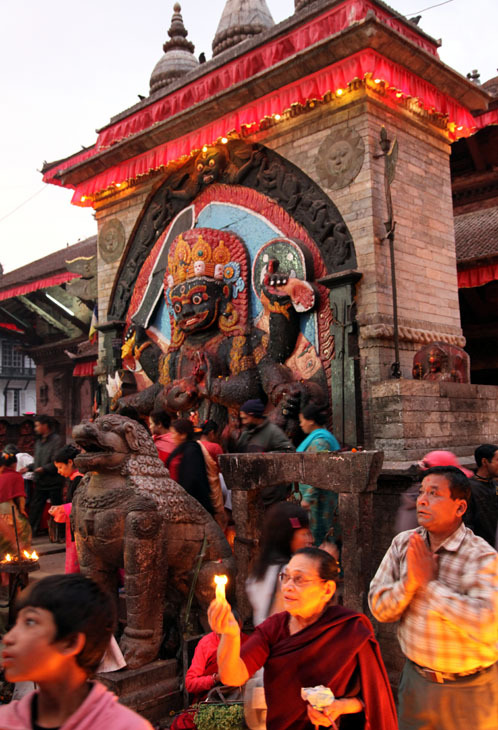 The current Royal Kumari, Matina Shakya, was installed in October 2008 by the Maoist government that replaced the monarchy. 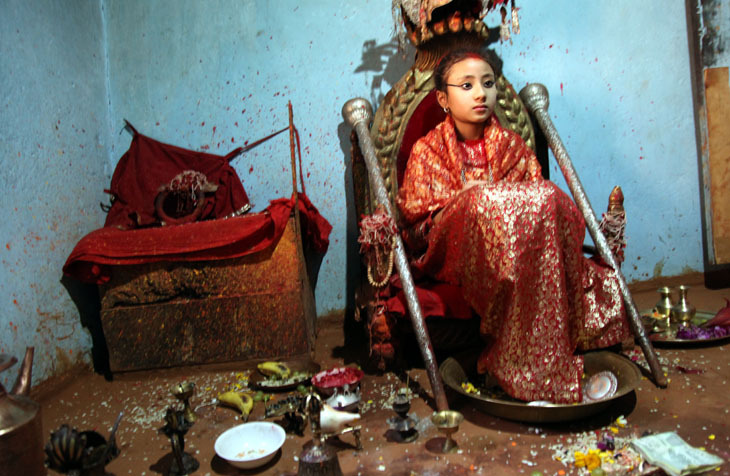 A Kumari is believed to be the bodily incarnation of the goddess Taleju (the Nepalese name for Durga) until she menstruates, after which it is believed that the goddess vacates her body. 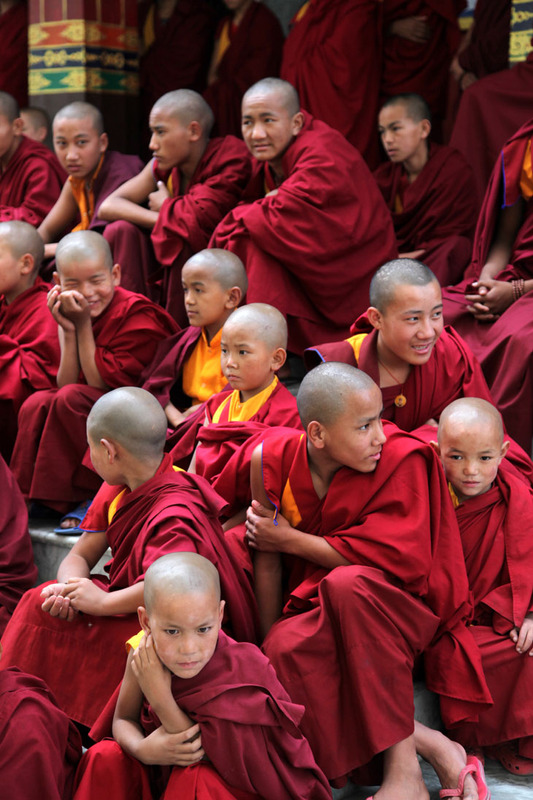 Serious illness or a major loss of blood from an injury are also causes for her to revert to common status.